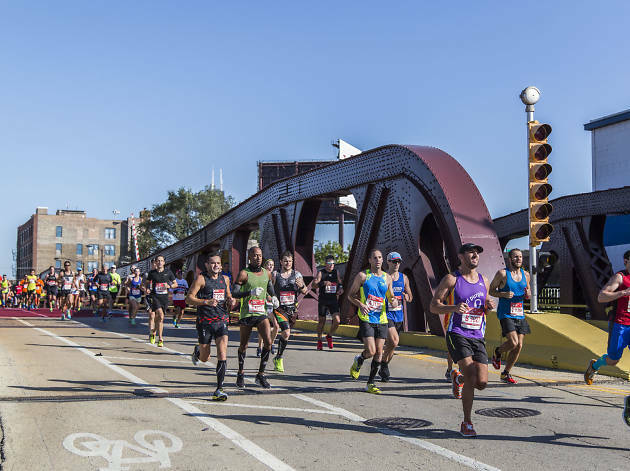 Participants in the 2016 Chicago Marathon were greeted by a crisp fall morning in the city—a welcome change from the 70-degree temperatures that graced last year's race. Onlookers all around the city bundled up and lined the route, cheering on runner as they passed through neighborhoods such as River North, Lincoln Park, Pilsen and Chinatown. Kenyan runners Abel Kirui and Florence Kiplagat topped the men's and women's fields, respectively, with Kirui completing the race in a 2:11:23 and Kiplagat finishing in 2:21:32. For 28-year-old Kiplagat, it was her second consecutive win at the Chicago Marathon and the fastest completion of the race by a woman since 2013. 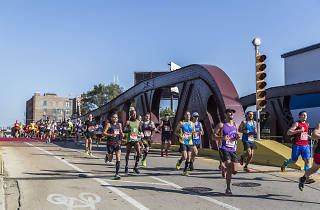 Our photographers were on the route in Boystown, Pilsen and Chinatown, capturing runners at varying stages of the race and the attendees who came out to support them. Take a look at some of our best shots from across the city at the 2016 Chicago Marathon. Want more? Sign up here to stay in the know.